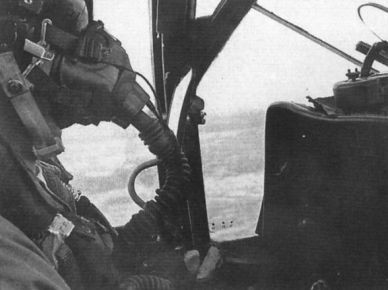 North Vietnamese pilots undergoing training in the Soviet Union. 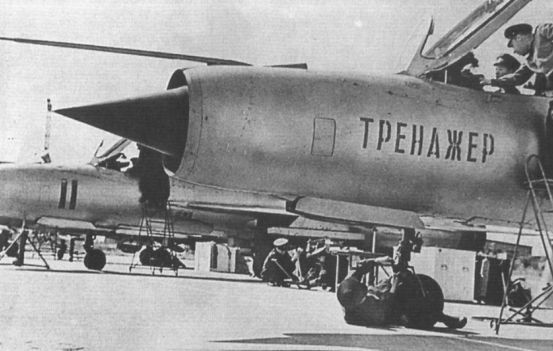 The MiG-21 is inscribed “training vehicle”. 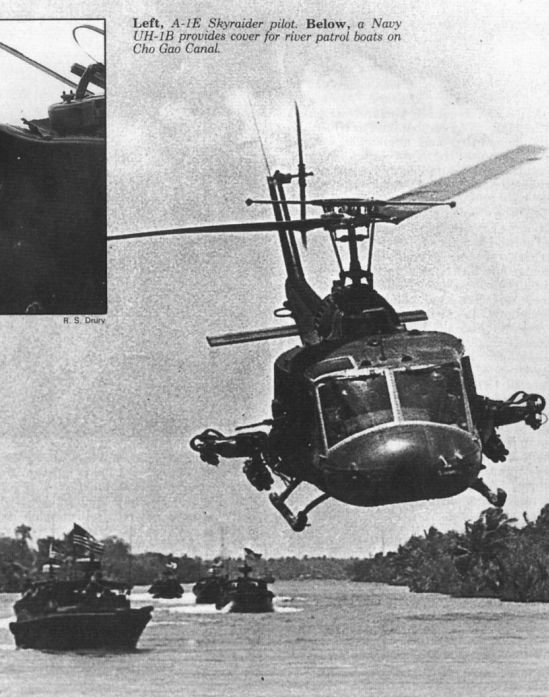 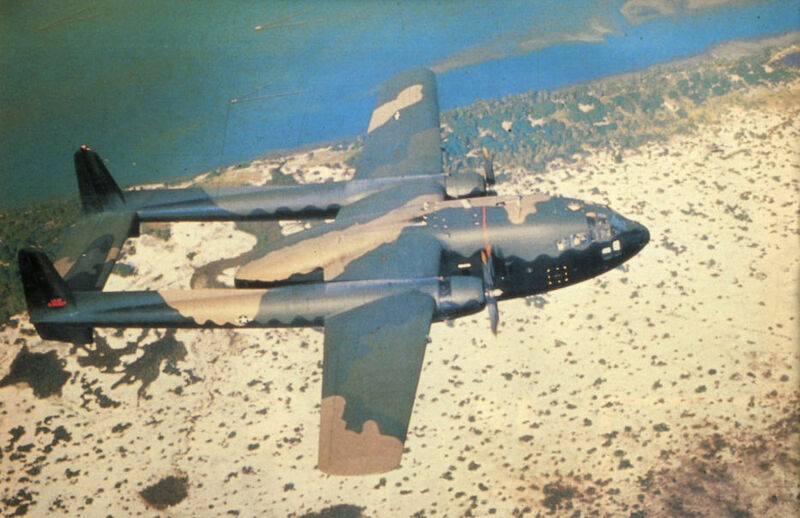 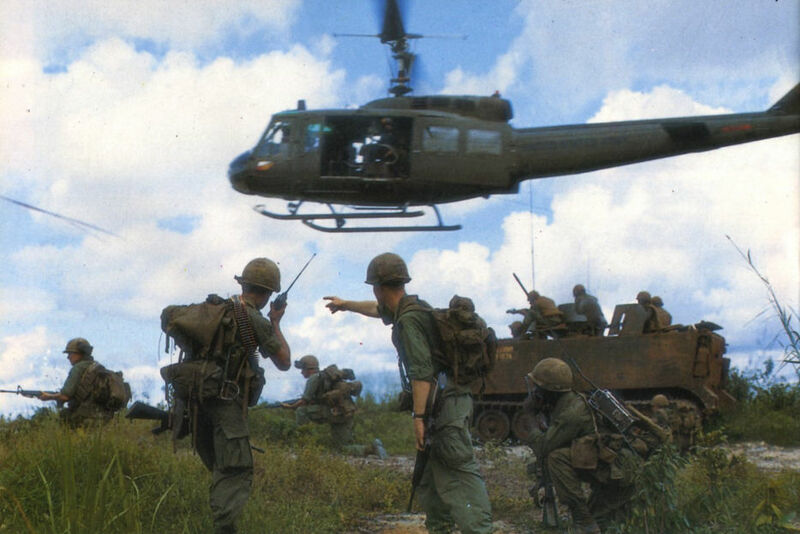 An AC-119K gunship over Laos, escorted by A-1 Blood, Sweat and Tears from the 1st SOS. 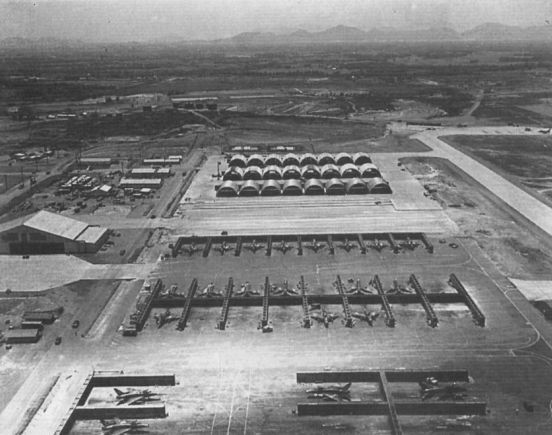 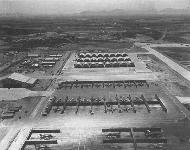 Phu Cat Air Base in March 1969 with F-100s and F-4s in revetments. 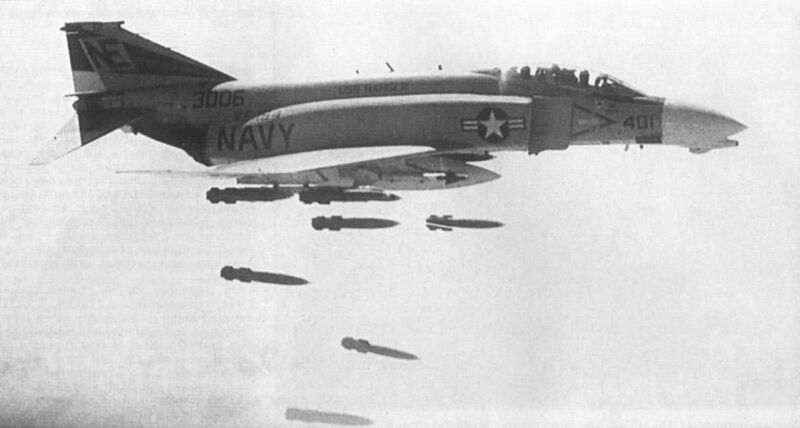 F-4B from VF-154 conducting an airstrike against an artillery site north of the DMZ. 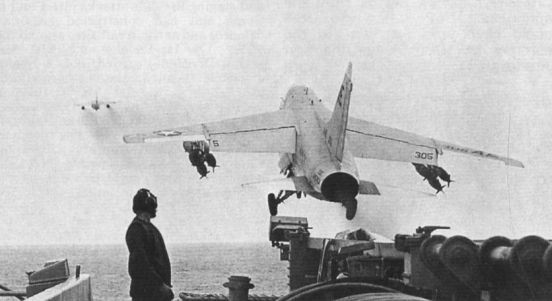 A bomb-laden A-7A Corsair II follows an A-3 Sky warrior off the catapult of USS America in October 1968. 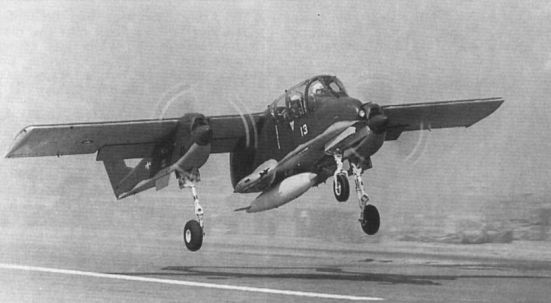 A Navy OV-10A Bronco from VAL-4 taking off on a mission from Binh Thuy.